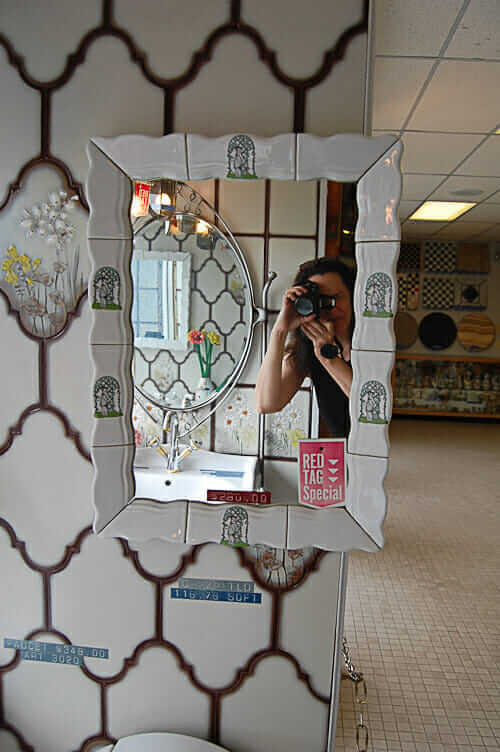 Working fast to buy all the basics for my mom’s impromptu gut-bathroom renovation,I first decided tile for the walls and floor…. next, chose the decorative trim tile…. and next, chose the vanity. After that, it was filling in all the “little” pieces that were, for the most part, purely decorative decisions. The white countertop that will go on the vanity is pre-drilled with three, four-inch spread holes — so we had to find a faucet to fit those holes. 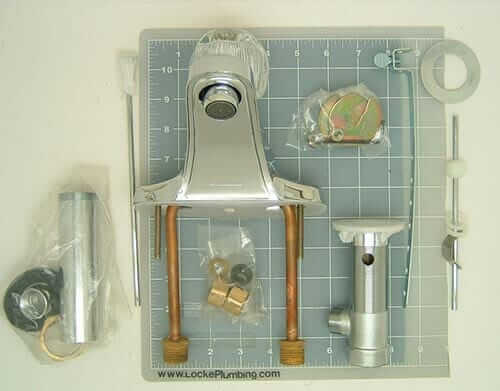 At Lowes, we saw the Kohler Fairfax single-hole faucet in shiny chrome. But, they did not have any other varieties. 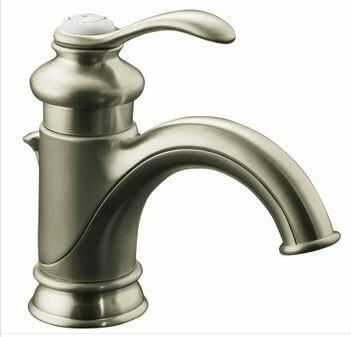 The minute I got home, I jumped online and found the style above — in satin nickel with an escutcheon plate — at FaucetsDirect.com. I slapped down my credit card and payed $20 for two-day shipping and boom, it was here in a flash. 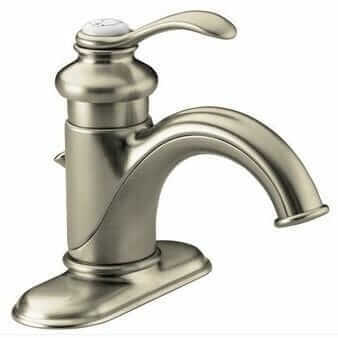 We like this faucet for its vintage look — and also because of that white porcelain dot on top. Happy happy. 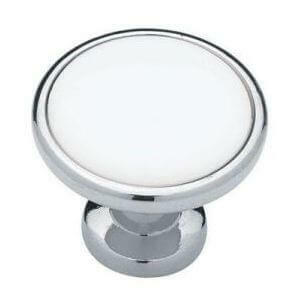 For the vanity hardware, I found brushed nickel-look Liberty cabinet pulls and knobs with white-porcelain (look) inserts. Just to further indicate the travail in all of this, I actually found these at a Different Home Depot. I had to drive to Shepherdsville to pick up more rope trim tile; there was not enough at the E’Town Home Depot. They say, “It’s not the years — it’s the miles.” This week, I’m puttin’ on plentttttty of miles. For the lighting, the clear choice was black porcelier. 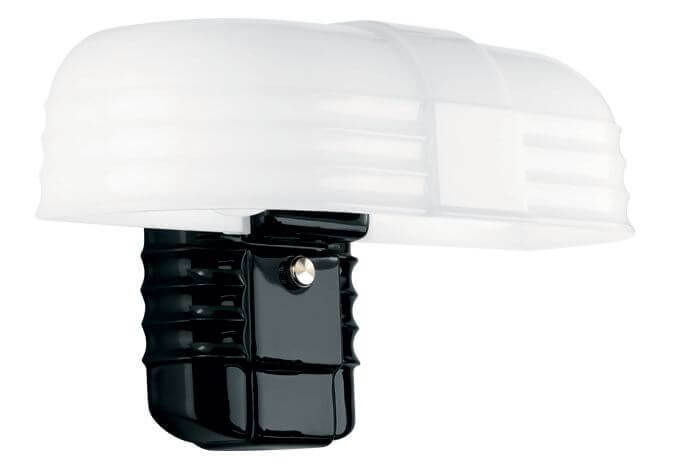 I chose this Rufus black porcelain bathroom light with a white shade from Rejuvenation. Many thanks to the lovely folks at Rejuvenation for helping me get the order real fast! Disclosure: Rejuvenation gave me a discount on the retail price of this light and on a second one that was included in the order by mistake and which I never got around to returning. 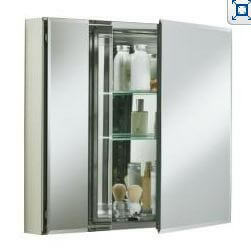 The bathroom light will be centered above a 30″ Kohler recessed medicine cabinet, also from Lowes. 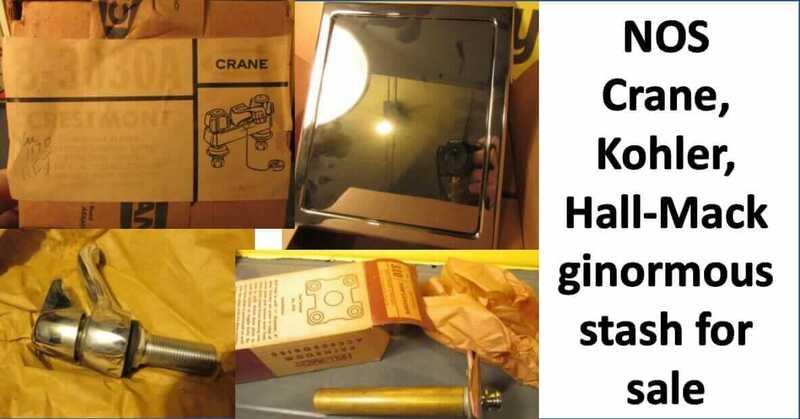 Yikes, though, I just went online to get a photo and see this has received poor reviews for the hinge design. We’ll see. I certainly liked the idea of maximizing the medicine cabinet space. The original recessed medicine cabinet was just 14″ wide — to fit between studs. When we had the walls open, we enlarged the space to hold this cabinet specifically. 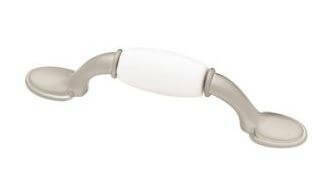 For towel bars and TP holder, I bought a sort of flowery (not literally — just “swoopy”) design from Baldwin, at Home Depot. I can’t find this on their website, or even on Baldwin’s. I think the design may have been being discontinued. The reason, in particular, that I liked the Baldwin, was that it was heaviest. I like my brass to be heavy enough to use as a weapon. All the hardware is at Mom’s waiting to be installed — I’ll grab and add a photo later. Oh, I almost forgot. We decided we wanted the Jacuzzi toilet. It was like this, only taller. We wanted “comfort height, elongated” for Mom. When I worked for Ford, I actually met a member of the Jacuzzi family. He worked in the auto industry in communications, like me. I remember, when we were first introduced, I thought the person introducing us was just kidding about the last name of his friend. Like, this person was so laid back that they called him “[first name] Jacuzzi.” But it turns out: There really is a Jacuzzi dynasty! Finally (sort of): I used basic Moen for the shower. And, we chose a sliding glass shower door from Lowe’s with obscure glass. This, in fact, is the only thing that we ordered. We knew it would be the very last thing to go in the bathroom, so there was time. Just barely. Tomorrow, I’ll report on Aunt Mary Anne and my crazed trip through Target for towels, rugs and bathroom bling. Oh, make that two trips becaus we had to go twice… plus, I had to marshall my sister Jenni to get some stuff at the St. Matthews store, too, because we exhausted the stock of a critical item here in E’Town. I am not obsessed with making this perfect. Oh no. Not me. Love your choices for the “details” and like everyone, adore that porcelain light! Can’t wait for the Great Reveal! 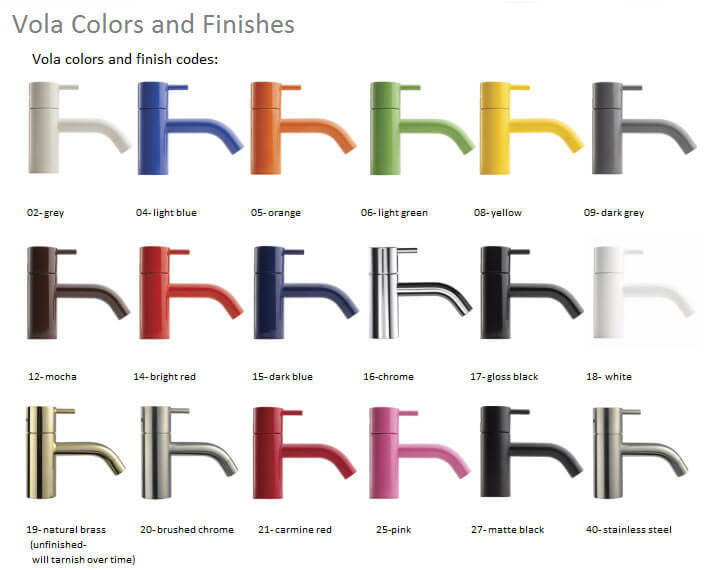 From someone who literally took MONTHS to pick a kitchen faucet, I am so impressed with the incredible efficiency of this project. Are you taking a week off when you’re done just to catch your breath? I love the porcelain touches, one of the reasons we were intrigued (but did not go with) the Fairfax line in our kitchen. And the beautiful thing about black and white (pretty classic for that era) is that ANY linens (pink??) will look fabulous in there. Go Pam & Co.! Can’t wait to see the results. 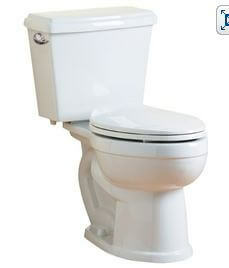 We have a similar look toilet in the Kohler Memoirs. Love the vintage style! did you decide not to go with the shower door? i noticed a curtain in your pix ..,,,,im in the same boat: just redid both baths and planned shower doors, but now i am rethinking … curtains are just so easy, can be replaced in a flash and make cleaning the shower easier, imho ….. but doors do look nice when new …..hhmmm……i am so torn …. yes — this was covered in a previous post (scroll down for complete series.) shower curtain gives more flexibility on entry/egress … easier to keep clean … way cheaper … fun to decorate / change out … requires no drilling of holes in the precious new tile. Trade off: Water-tightness. We will “watch” that issue.